With a long list of acting roles already attributed to her name, 29 year-old Zakeeya Patel is the definition of a livewire. Graduating at the top of her class with a BA Honours in Theatre and Performance from the University of Cape Town, Patel has continuously reached higher and higher in not only her acting but across all aspects of her career. This includes being crowned the winner of season six of Strictly Come Dancing in 2013, and currently as a contestant on season seven of South Africa’s biggest reality TV series Tropika Island of Treasure on SABC3. One of her most cherished accolades, however, is that of a first-time producer of the SABC1 health and lifestyle show Mnandi Me. “I believe that with the platform of celebrity in South Africa comes great responsibility as you have the access and ability to change people’s lives,” says Patel of the reason why she jumped straight into producingMnandi Me. 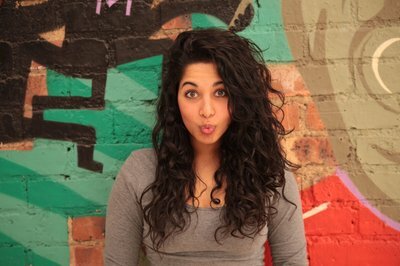 Patel landed her first acting role in 2012 in the local comedy titledMaterial alongside Riaad Moosa and Vincent Ebrahim. Since, she has starred in the movies Die Pro, The Fall of Ganesh and The Jakes are Missing. Patel has also graced television screens appearing in shows such as season one of High Rollers, Isidingo, Sokhulu and Partners, Thula’s Vine, The Wild and Mzansi Love. In 2014, she joined the presenting cast of Mela which has now moved to a new timeslot of 14h00 every Sunday on SABC3. Patel is an ambassador for the Blow the Whistle Campaign; an anti-crime initiative that strives to not only protect all the women and children of South Africa, but also aims to empower them by giving them their voices back. In February 2017, Patel got engaged to long-time boyfriend Rob Price. The wedding is set to take place in the summer of 2017.